Harry Kane has taken what some might consider a dig at Tottenham’s North London rivals Arsenal by snubbing the prolific Mesut Özil when naming the best German in the Premier League. Speaking to BILD in Germany, Kane instead shared his opinion that Manchester City winger Leroy Sané is the best German plying his trade in the English top flight. 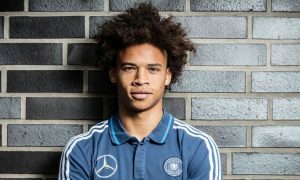 “Leroy Sané of Manchester City. He just impresses me,” Kane told BILD. “He’s so fast, aggressive, difficult to stop in one against one and he’s scored often this season. October’s Premier League Player of the Month, 21-year-old Sané has been in electric form this season with 6 goals and 6 assists in 12 league games – 8 of them starts. Ryan Giggs, who Sané has been compared to by some, said recently: “Unfortunately he’s the wrong end of the city. This season, wow, it seems like he’s got everything. If you lose the ball deep, he can carry the team up the pitch.